Open your PHPMyAdmin from your cPanel or Self-Installed mode. 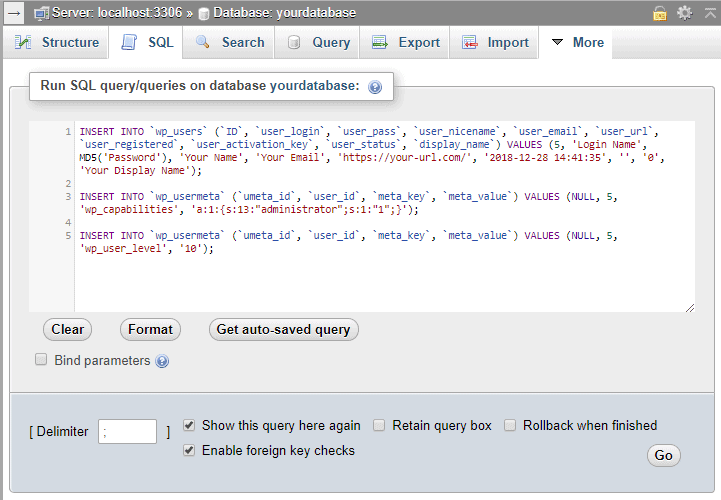 Select related database to your WordPress Install, and click SQL tab. Input the command below. Just change the orange colored text acording to your desired login, password and other entries. The number 25 is the user’s unique ID, you can change the number to a random number, or review the table wp_users, for un-used ID. Click “Go” to run the command. That’s it.